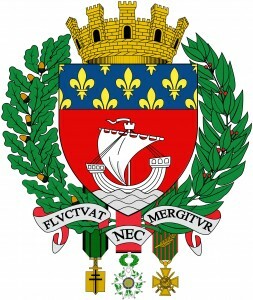 The official emblem of Paris is a Latin sentence and shows a white boat floating on rough waters, topped with gold fleurs-de-lys. It dates back to 1358. An emblem all over Paris : on the Paris town Halls, the schools, the City Police offices… More than 100 buildings throughout the city. 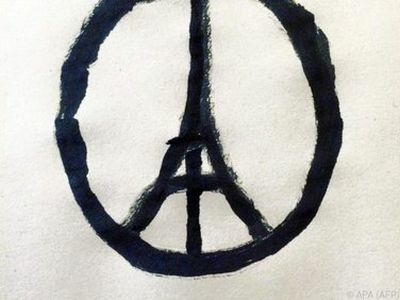 After the attacks of the 13th of November, this emblem became very popular and was used in social media as a symbol of Paris courage against terrorism. My FB friends : I appreciate so much your many Facebook posts sending your support. Danielle (a French lady interviewed in Paris) : This short video below has been widely shared across France. 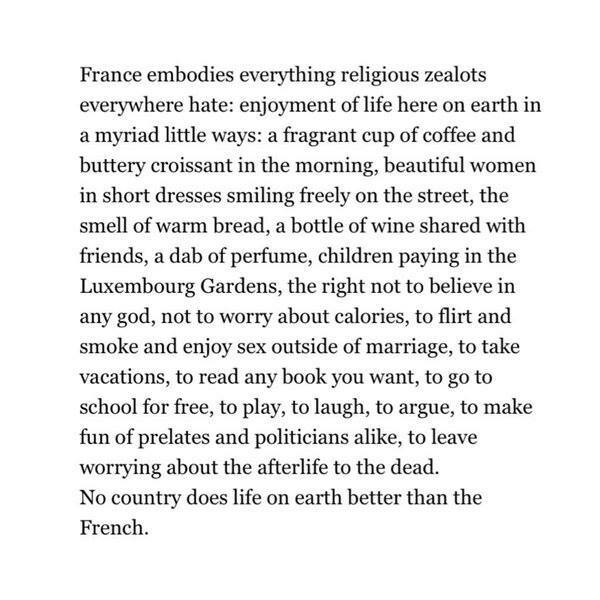 Translation : “It’s very important to bring flowers for our dead,” It’s also important to read Ernest Hemingway’s “A moveable feast”, “Paris est une fête,” (the French title of “A Moveable Feast”) because we are a very old civilization and we will uphold our values at the highest level.”. “We will fraternize with five million Muslims who practice their religion freely and kindly and we will fight the 10,000 barbarians who kill, supposedly in the name of Allah”. 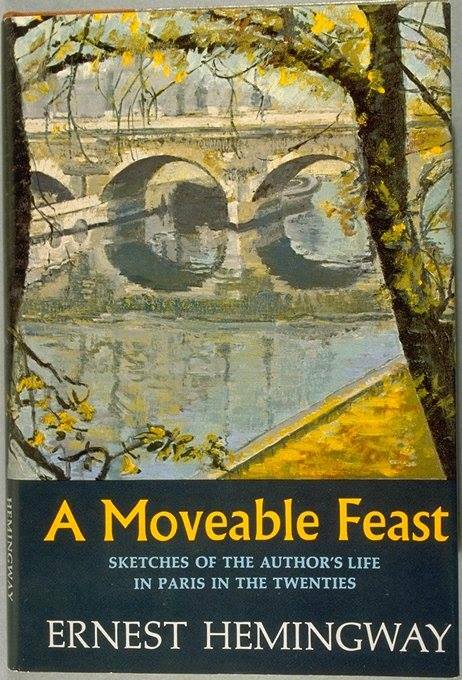 A moveable feast : Following the deadly attacks, Ernest Hemingway’s memoir about life in Paris has become a Bestseller in France. 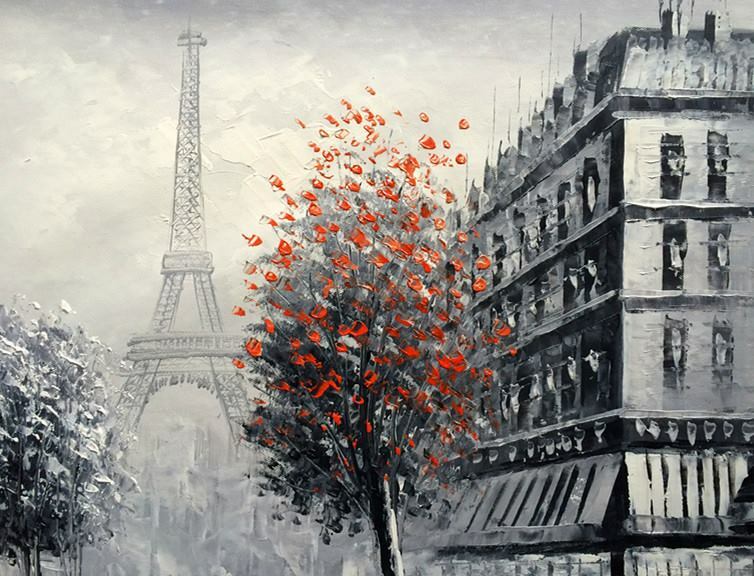 It’s an ode to Paris, a love letter to the city, its cafes , a timeless evocation of the City of Lights. 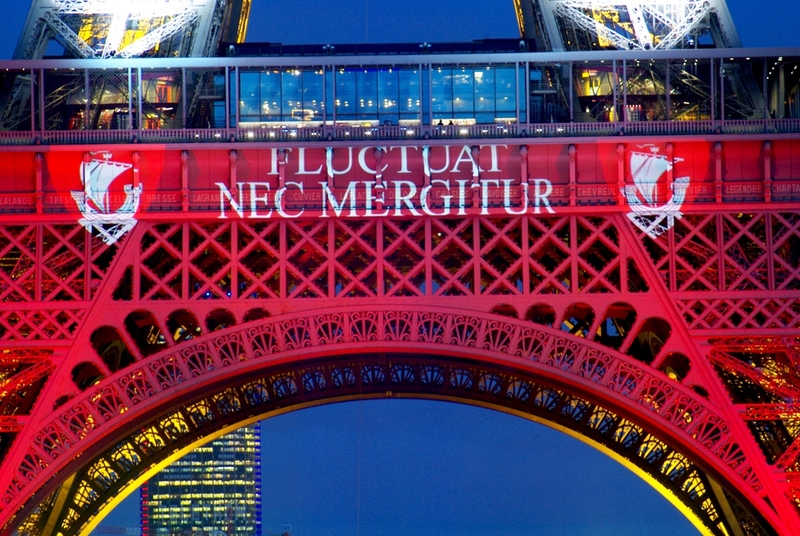 Paris was a source of inspiration (and still is ?!) for many writers and artists in general and a salve for their psychic wounds. Yes, Paris bookshops are running out of copies (even on Amazon’s French site). 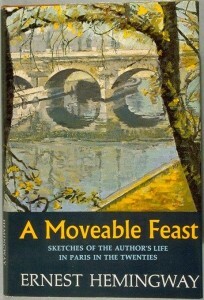 Publishers have ordered it to be reprinted. The book has been left at memorial sites, as a symbol of defiance, between flowers and candles, in front of the cafes, bars and restaurants where the attacks took place. 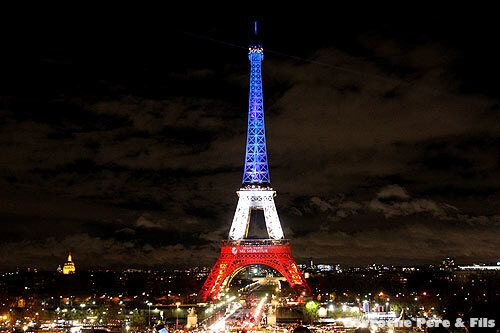 It can also be seen in front of the Bataclan concert hall. John Lennon’s Imagine : On Saturday 14th, the day after the attacks, a German pianist dragged a piano around Paris and played John Lennon’s ‘Imagine’ outside Paris’ Bataclan theater where many were killed in terrorist attacks. 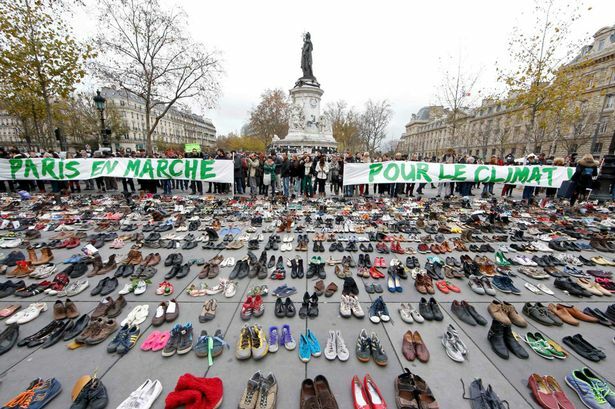 A sea of shoes : Banners which read “Paris marches for climate change” are displayed in front of pairs of shoes. The march was banned due to security fears after the terrorist attacks. The shoes symbolise the people (Climate change protesters) who had hoped to take part in the gathering. They have found a moving way to get round the city’s ban by laying pairs of shoes at “Place de la République”. Several social media commentators have noted that the majority of the shoes are facing towards the Bataclan theatre- where 89 people were murdered by ISIS affiliated terrorists on November 13.